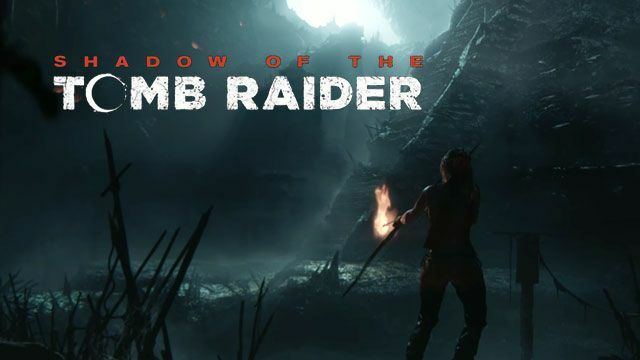 Gameplay-facilitating trainer for Shadow of the Tomb Raider . This trainer may not necessarily work with your copy of the game. Available here: Shadow of the Tomb Raider Trainer. Numpad 1: God Mode - toggle on and nothing can kill you, including the things that SHOULD kill you, like scripted deaths. It's probably best to leave this OFF when platforming or doing things that you aren't in combat. This is best used when fighting in combat and against animals. Leave OFF otherwise, or if you die to spikes or a fall or something else, then you won't die and the game will hang, requiring you to close the game manually. Numpad 2: Unlimited Ammo / Arrows - toggle on and when you fire or reload, the amount does not decrease. Numpad 3: No Reload - works for weapons with bullets. Toggle on and when you fire, the current clip will not decrease. Numpad 4: Easy Craft Ammo / Arrows / Plant Potions - toggle on and you can create/craft these items even if you do not have the materials. Numpad 5: Easy Upgrade Weapons - toggle on and you can upgrade weapons even if you do not have the materials. Numpad 6: Unlimited Underwater Breathing - toggle on and you can stay under water as long as you like. Numpad 7: Invisible - works best on enemies that have not seen you or on enemies that have lost track of you. Toggle on and you can walk all around them, shoot them, stab them, etc. and they will not react. In some cases, animals or troops are supposed to move in scripted manner. Toggle back off if this is the case. Numpad 8: Set Gold Coins - Enter the Inventory and note your amount, then press this to set it to higher amount. Numpad 9: Set Skill Points - Enter the camp, then note the amount you have then press this to set it to the value shown in the trainer. F5: Save Position - saves the current position in the world to use for teleporting. F6: Teleport To Saved Position - best used for short distances, to correct when you try to jump or platforming, and best used when the path to the saved position is a clear path. This will not work long distances or if you are trying to teleport through items. Numpad /: Float Mode - toggle this option on, then use the float and move options below to move your character around. Very helpful with platforming or to get to places that you cannot seem to reach. Best to NOT use this to move DOWNWARD for long distances, as you may die like you made a long fall. Numpad -: Float Up - use Float Mode, then use this to move your character around. Numpad +: Float Down - use Float Mode, then use this to move your character around. F7: Move North - use Float Mode, then use this to move your character around. F8: Move South - use Float Mode, then use this to move your character around. F9: Move East - use Float Mode, then use this to move your character around. F10: Move West - use Float Mode, then use this to move your character around.